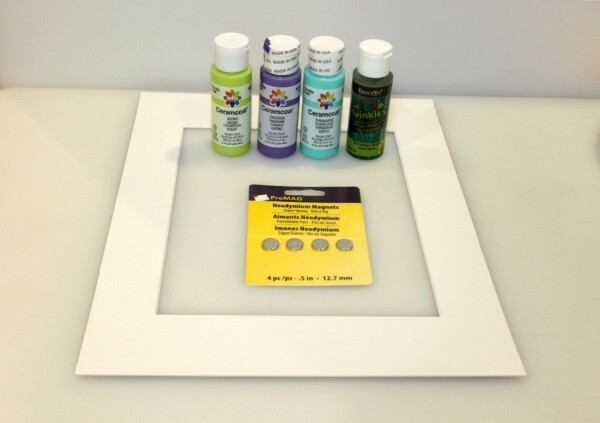 Homemade magnetic frames can help adorn your fridge with photos and artwork. 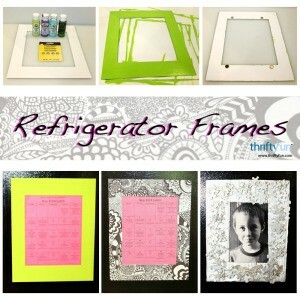 This is a guide about making refrigerator frames. 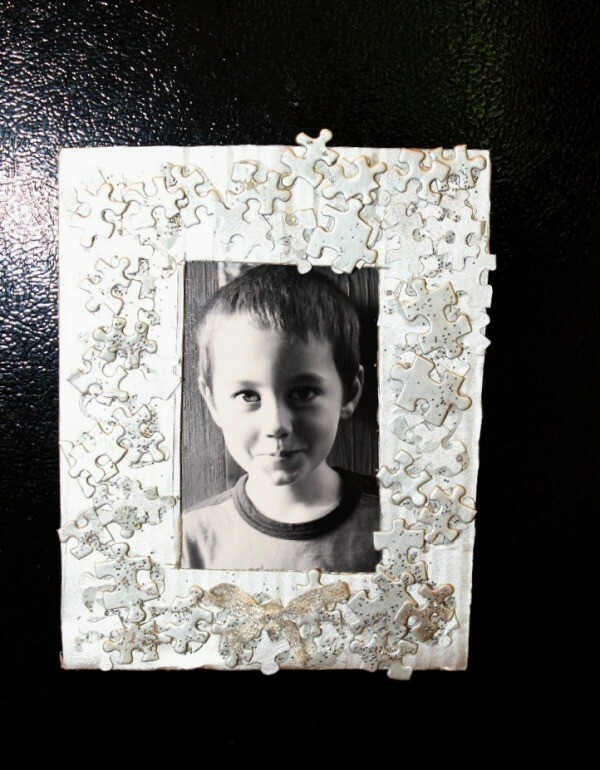 This is a magnetic photo frame my son made for me years ago at school for Mother's Day. They cut out a frame from a piece of cardboard, glued puzzle pieces to it, spray painted the whole thing, and applied some glitter before it dried. Then they taped a photo to the back and glued on some magnets. I absolutely love this photo and frame! 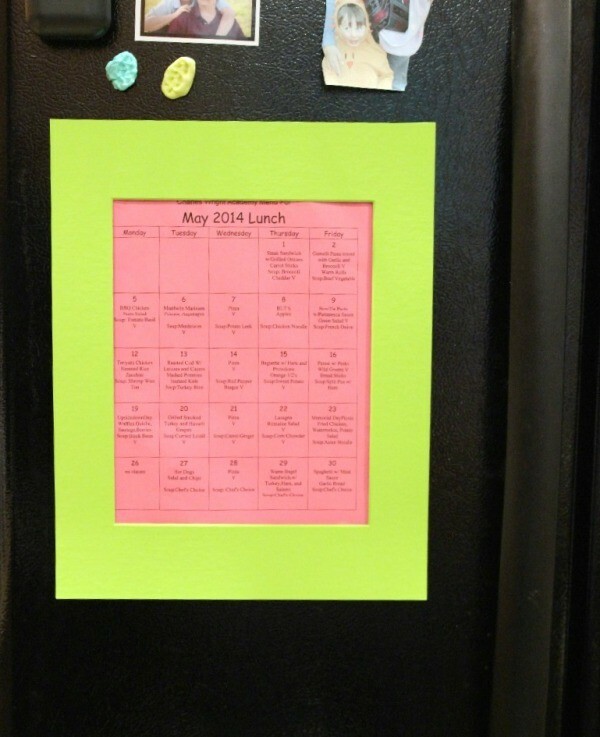 Awhile back I purchased some magnetic plastic refrigerator frames. They weren't very durable to I decided to try making my own. Photo mats are great for this because they are lightweight and come in multiple sizes. Cover your work surface with paper. Then paint the mat in the colors you have chosen. 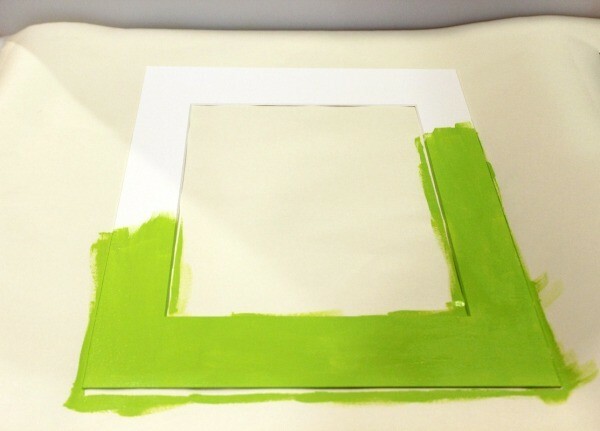 Once you have applied a layer of paint, shift the mat over a bit so that it won't stick to the paper as it dries. 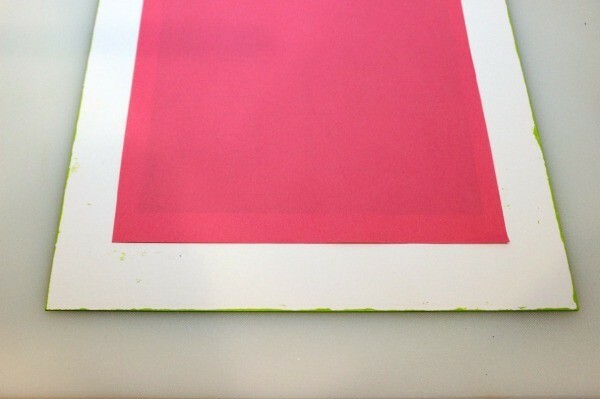 Apply a total of 2-3 layers of paint for uniform coverage. Allow to dry completely. Test fit the item you wish to hang on the back of the mat. 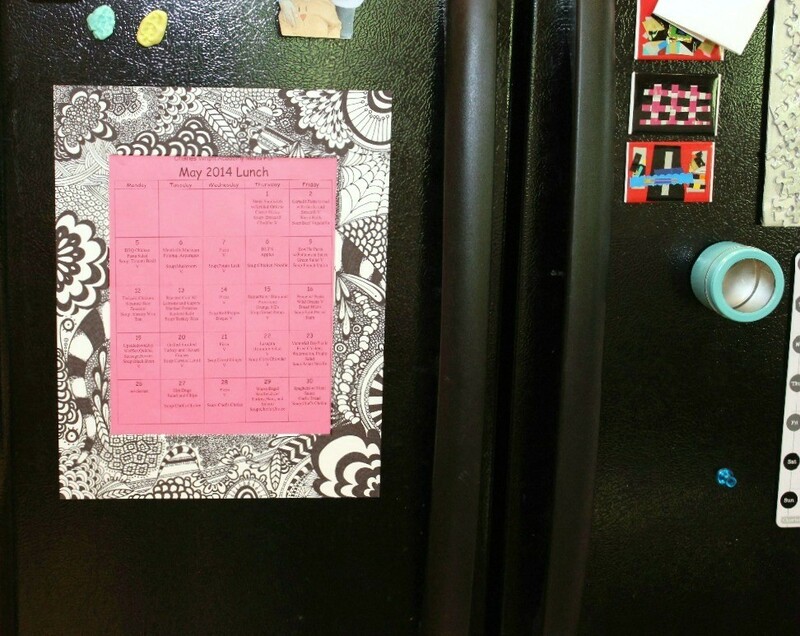 This will allow you to determine proper magnet placement so that it will hold your item securely to the refrigerator. 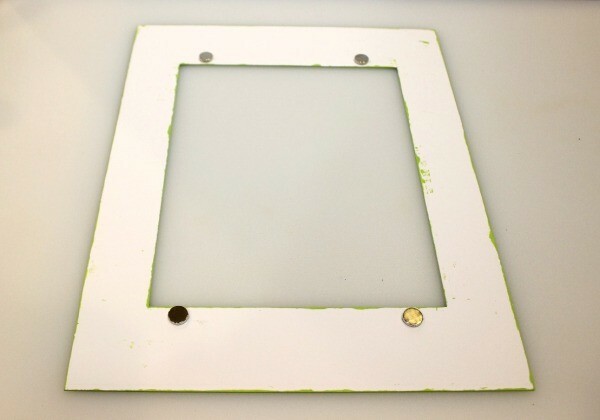 Using a hot glue gun (or other type of glue) attach the magnets to the back of the mat. Allow glue to dry before using on the refrigerator. 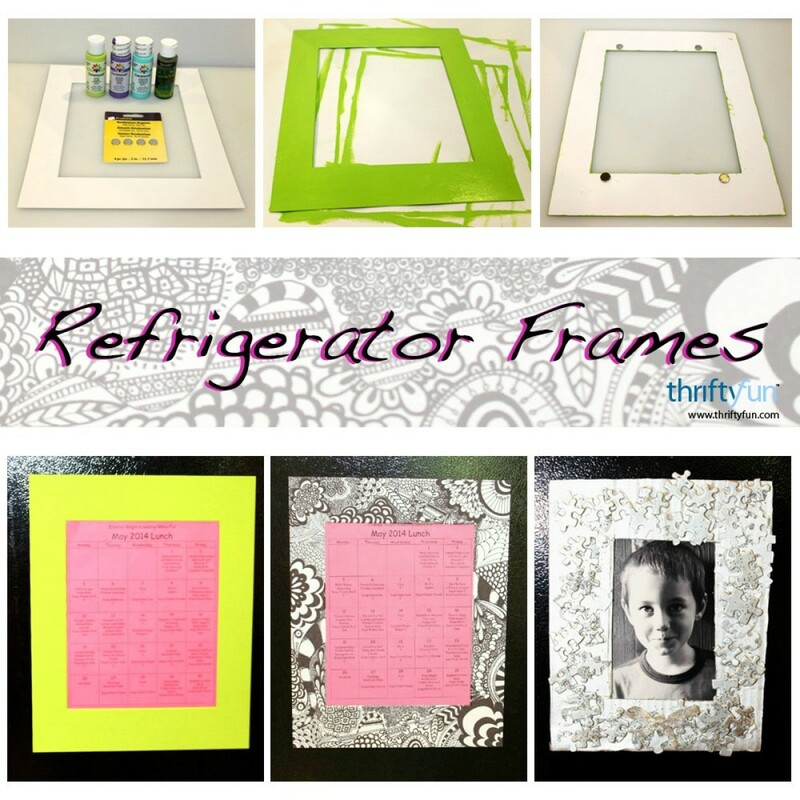 These fridge frames are a great way to make your refrigerator look organized. 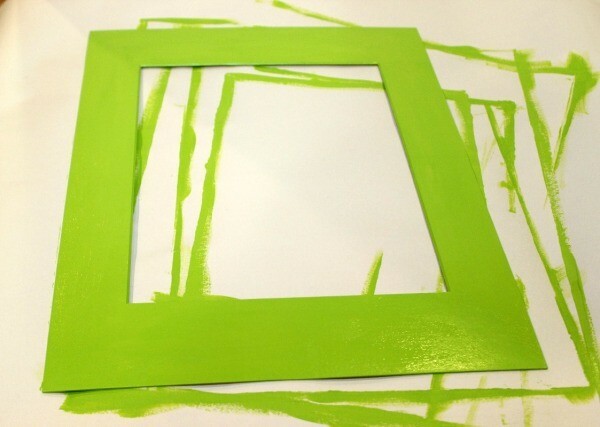 These frames are inexpensive to make and hold up better than the store bought variety.